This started out as a Facebook post, and quickly spiraled out of control, until I realized that this is what my blog is for. As a quick background, since this isn’t Facebook, and people don’t see me posting about it nearly every day- I am a zealous Trekkie. (That’s an understatement.) Despite that, I thought Star Trek: Enterprise was terrible, and wrote it off as such, after only watching a few episodes back when it first aired in 2001. I just recently decided to watch the series, because really, how could I call myself a Star Trek fan, without having watched all that there was to watch, and how could I diss so much on a show I knew next to nothing about? I’m pretty sad that I only have six more episodes of Enterprise left to watch. Season 1 was kind of crappy, and it’s why so many Star Trek fans, myself included, stopped watching it when it originally aired. Now seeing how good the show got, I feel like an utter failure as a Star Trek fan, for contributing to it getting canceled. It had so much potential. Honestly, in my opinion, Season 4 is as good as any Deep Space Nine season, better than most of Voyager, and certainly better than the first couple TNG seasons. There were other things going against it, too. Of course it wasn’t that exciting at the time, considering that when it started in 2001, we’d had a solid 14 years of Star Trek TV series, and I think after Voyager ended we needed something either really amazing, or we needed a break. Not the lackluster first season of Enterprise. If Enterprise had come out a few years later, or even today, I think people would’ve loved it, and though we might have been disappointed with the first season, us Star Trek fans wouldn’t have completely written it off, and maybe it wouldn’t have gotten canceled. I think if it had gone on, it would have been as good as DS9 or TNG as a whole. And I think it has a lot of elements that non-Star Trek fans would be more into, too, with all of it’s grittiness and things that remind me of other sci-fi shows. (Ironically, that was one of the things that made me like the show less in the beginning. Mainstream! Not for just Star Trek fans! Bah!) Basically, I am a giant hypocrite. I’ve been dissing on Enterprise for years, and I refused to watch it, afraid it would taint how perfectly I view the other shows, and you know what? I was wrong. I hate admitting that, but it’s true. So to all of you Star Trek fans that still won’t watch it, if you can take some of it with a grain of salt, and remember that all of the other series had their low episodes, you should really watch it. It gets good. I went into it fully expecting and trying to hate it, but here I am. And if you’re one of the other Star Trek fans, the ones I’m not generalizing here, the ones that told me exactly what I am telling you now, I’m sorry. I realize none of this really has anything to do with why or how Enterprise is good, just the fact that I think it is. Perhaps when I’m done with the series, I’ll write a real review. Here’s to maybe getting a new Star Trek series someday. I’ll give it a fair chance, no matter how it starts. Dif-tor heh smusma, Star Trek. 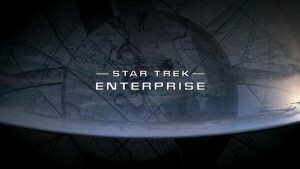 If you want to watch Enterprise yourself, it’s available almost in its entirety on StarTrek.com. “In a Mirror Darkly” Parts I and II seem to be missing, and they are very fun episodes, so I recommend you find a friend with Netflix or Hulu or something for those, if you don’t have them yourself. They don’t really need to be watched in a certain place in the series, since they take place in the Mirror Universe, but if you want to watch everything in order like I do, they’re episodes 18 and 19 of Season 4.